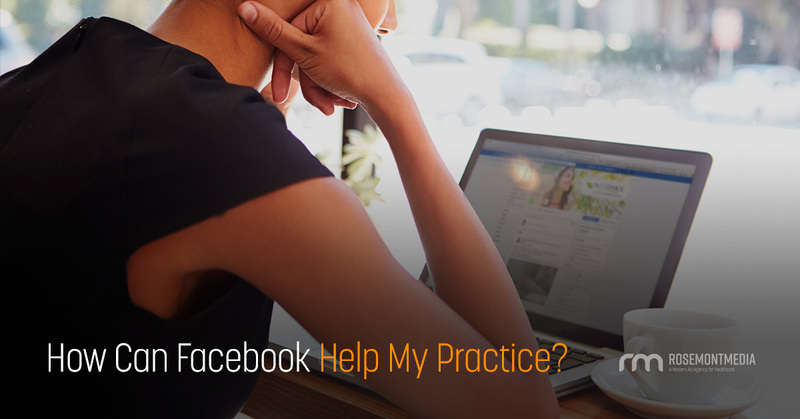 Does My Practice Really Need to Be on Facebook? Facebook routinely gets name-dropped by the news—and not always to positive acclaim—so you may wonder if you really need a presence on this sometimes-controversial social media platform. While many individuals are updating their privacy preferences and considering their options, the truth is most people are not planning to abandon the site. Facebook is here to stay, and that’s actually a great thing for your medical or dental practice. Traditional marketing is impersonal and cold. The only opportunity you really have to interact with your patients is at appointments, unless you utilize Facebook. Through your page, you can chat with current and prospective clients, give advice, and share updates about your practice. Create a community through your Facebook posts. You can answer questions, correct misconceptions, create polls, get tips on which treatments patients are interested in most, and much more. By sharing contests, jokes, and facts, patients can feel like they have a closer relationship with their physicians. We’re a bit biased, but SEO is a key part of successfully building an online presence in your marketplace. Social media can boost SEO, and Facebook is one more way to incorporate links and entice patients to visit your website or schedule a consultation. Every post is an opportunity to link to a procedure, contact, or event information. Your competition is probably already on Facebook, which means you’ll also need to show your face to maintain an edge in your field. If your rivals are not there yet, seize the chance to nab the prospective patients floating in cyberspace seeking a physician just like you. Traditional advertising rarely allows for the precision targeting Facebook offers. You can select from a whole host of identifiers, from age and gender to household income and political inclinations. For better or for worse, Facebook knows everything about us. In some cases, though, that can be an advantage. According to its latest reports, Facebook has over 2.2 billion (with a B) active users. People pop onto the social media site on a daily, if not hourly, basis. That means there’s an excellent chance your next patient (and your next, and your next) is already online searching for the right doctor to help them achieve their goals. Make sure you meet them where they are. Of course, not all online presences are created equal. Simply posting up a business page without considering how to approach the process can leave you in an echo chamber of one. Just as important as having a Facebook business page is keeping it up to date according to the most recent best practices. These guidelines can change daily, so remaining at the cutting-edge of social media marketing is a full-time job. Let our savvy strategists help. Talk to Rosemont Media today to learn more about how Facebook can be a game-changer for medical and dental practices.